ALL donations of the above amounts will receive our Newsletter for one year at no charge. If you are not able to give the above amounts, any donation will be appreciated. Names of all contributors of $25.00 or more will be entered into the Immigrant Memory Book. Would you like to have the memory of a Family member who immigrated to America honored on our Immigrant Wall of Honor ? For a $150 donation, we will place your parents or grandparents' names on our Italian Immigrant Wall of Honor. Write to us for details. 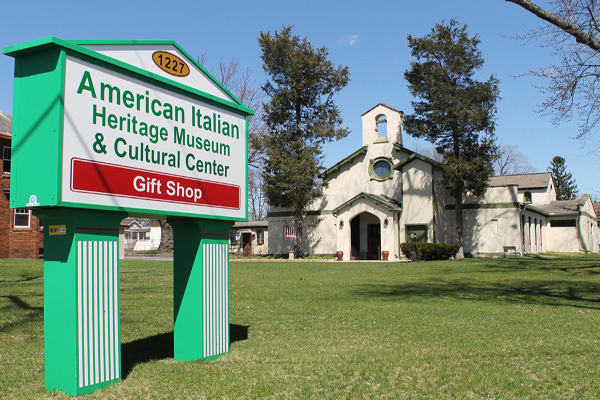 If you wish to pay by check , Please mail your $25 payment to American Italian Heritage Assoc. We are committed to record and preserve the contributions of our Italian Heritage and culture to our society through our newsletter, cultural programs, activities, exhibits, and outreach programs. ©2019AIHM Museums. All rights reserved.